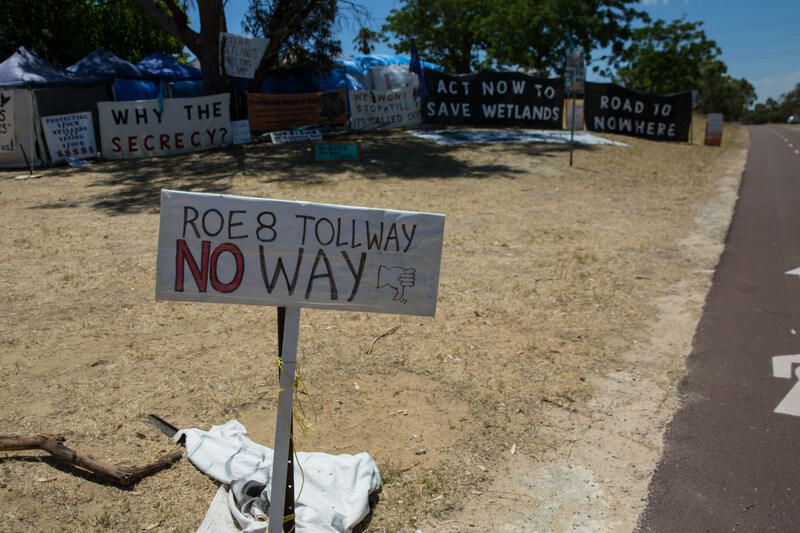 UPDATE: A snap inquiry into alleged breaches of environmental conditions at the Roe Highway extension project will be held next week, after a motion introduced to Parliament by Greens Senator Scott Ludlam was today backed by the Senate. Scott Ludlam is wrong about clearing outside the clearing footprint adjacent to Forrest Road. Getting the Roe 8 done! Senator Ludlam states the Federal Environment Minister can suspend approval if he has reasonable grounds to believe there has been a contravention of a condition attached to the approval. However the EPA Senior Compliance manager has fulfilled his role and ensured all conditions are met. Another attempt to delay "aggressive" construction and not business newsworthy! Alarming levels of asbestos contamination at the Roe 8 site was reported several weeks ago by OHS expert and long-term government advisor Bob Bryant. He has called for an immediate cessation of clearing until this serious danger is thoroughly investigated. All regulatory bodies and WA Liberal MPs have been informed about this and have chosen to ignore or white-wash it. Therefore, the Barnett government has been knowingly exposing local residents, school children, Roe 8 workers, police and protestors to ongoing exposure to potential serious health problems via air-borne asbestos contamination. Thank you Scott Ludlam for trying to expose this and other corrupt travesties at Roe 8. This is a serious issue which the Barnett government has tried to cover up in its mad push to clear the Beeliar wetlands and bush-land before the election.